Transporting freight in sailing ships is in demand with one company in Brittany expanding to add new destinations. “We’ve added routes to Bordeaux and are planning to sail to Madeira and Porto next,” says Guillaume Le Grand, the founder of TransOceanic Wind Transport (TOWT) in Brest. He started TOWT five years ago and it now uses 12 sailing ships to transport 155 tonnes of goods a year – including wine, beer and new potatoes – between France and the UK. Gradually new destinations were added, including the London port of Tilbury, and now they are in the process of designing their own vessel. Mr Le Grand said: “It’s a marathon task but the design is coming on and we’re in the process of putting the finance in place. Obviously, transporting freight is a green alternative to conventional shipping but it also personalises international trading. Shipping by sail is labour-intensive (goods are loaded and unloaded by hand) making it a bit more expensive than in typical large containers but for consumers of organic, speciality and eco-friendly goods, it adds value. He is enthusiastic about working internationally: “We love having a strong British connection. 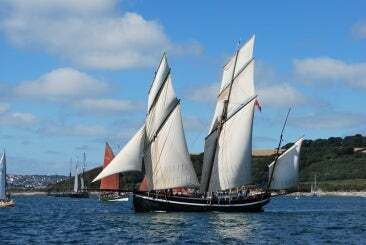 “Brits love the concept of shipping by sail, they love the romance of the sea, the adventure of it, the novelty. In contrast, the French tend to be risk-averse, and less optimistic about new ideas. But we love building our shipping community, making connections between Brittany and Great Britain. Award-winning Bordeaux spirit maker Simon Thompson produces Fine Bordeaux eau-de-vie, Bordeaux grape gin and vodka and Sauternes finished Isle of Arran whisky - and is a Connexion reader. 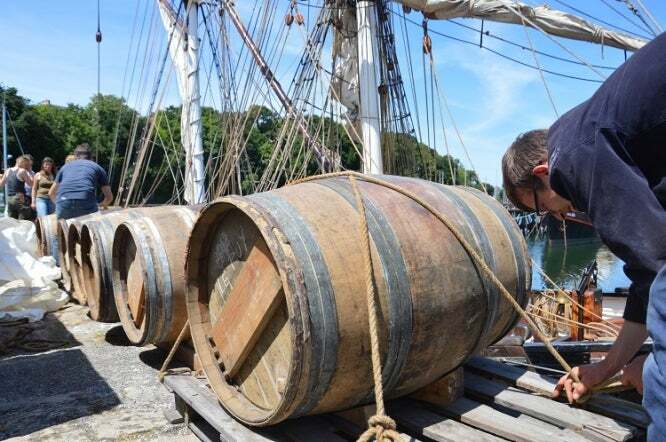 One recent project involved loading two ex-Sauternes barrels of gin onto a sailing ship with the plan to leave them onboard from May until September to age the gin. He says it is rare to age gin but hopes for a great result for the resulting limited edition of 600 bottles. A first experiment, with Isle of Arran whisky finished in ex-Sauternes barrels, was a success. “It was financially risky and a steep learning curve but it worked so we plan to age other products in the same way.